Nine track-LP from this well-known Dutch project. A mix of melodic ambient soundscapes and militaristic rhythms with neo-classical elements. 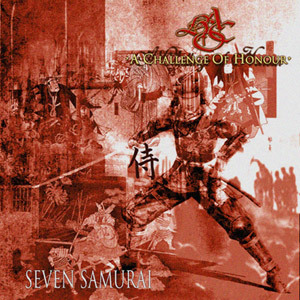 This is an "alternative" sountrack for the Akira KUROSAWA masterpiece "Seven samurai" whom this record is dedicated to. In fold-out sleeve).